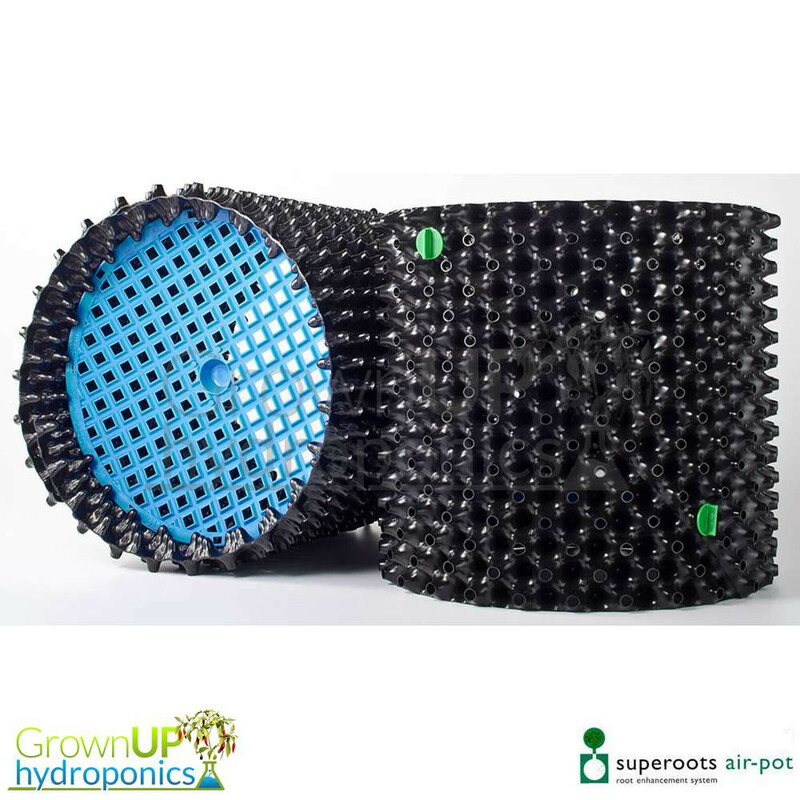 Air Pots are a recyclable, reusable plastic container that will enhances the quality of the root systems of plants. 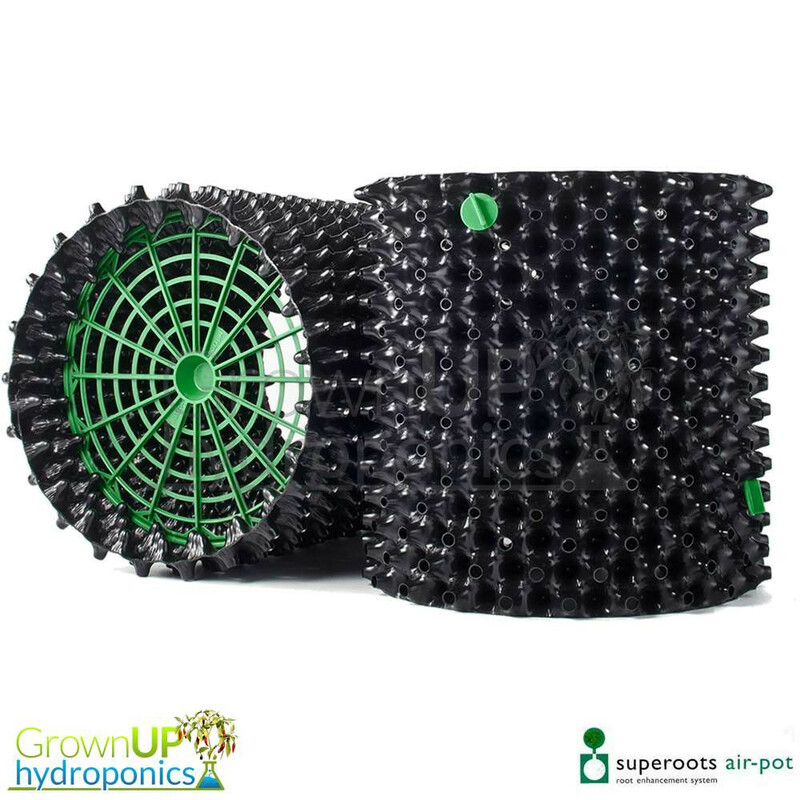 Better root development means a quicker growing, healthier, larger plant. 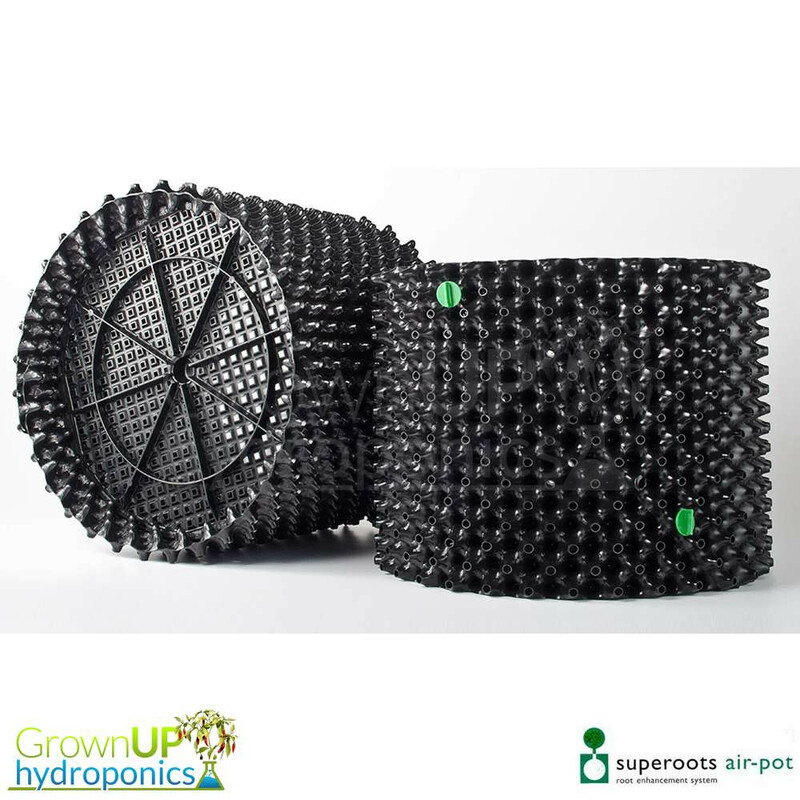 Air Pots are a recyclable, reusable plastic container that will enhances the quality of the root systems of plants. 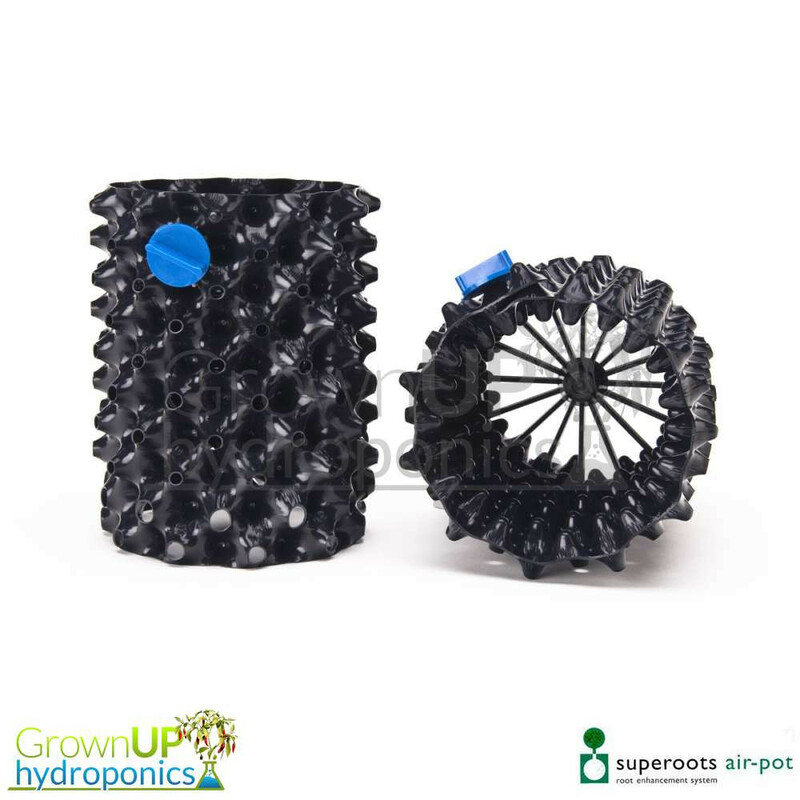 Better root development means a quicker growing, healthier, larger plant. 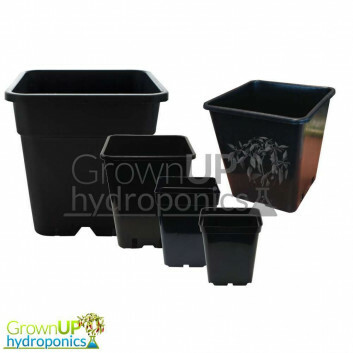 Your plants will develop a remarkable root system that is hard to match with any other growing container / pot. 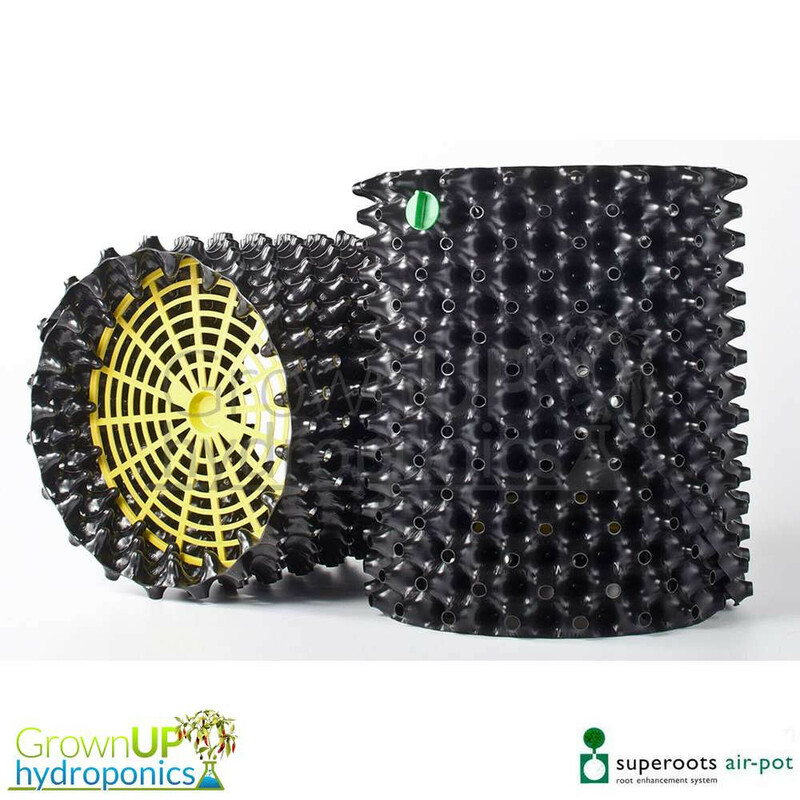 Whether you chose soil, coco or hydro, the Air-Pot will push the boundaries of your growing experience. 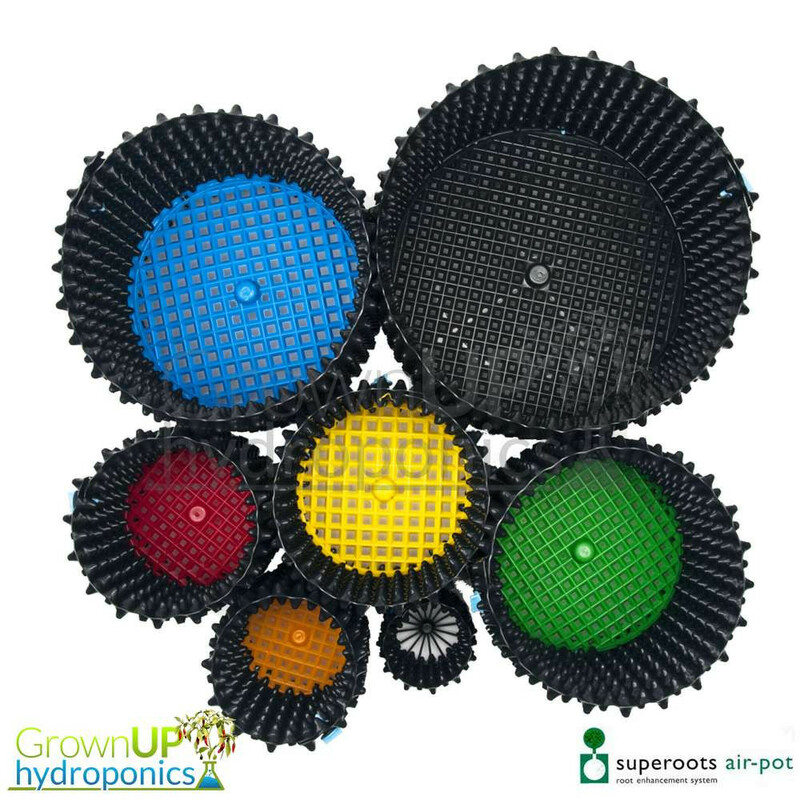 Made of recycled HDPE, the Air Pot is circular in shape with a perforated sidewall, which is textured like an egg carton. 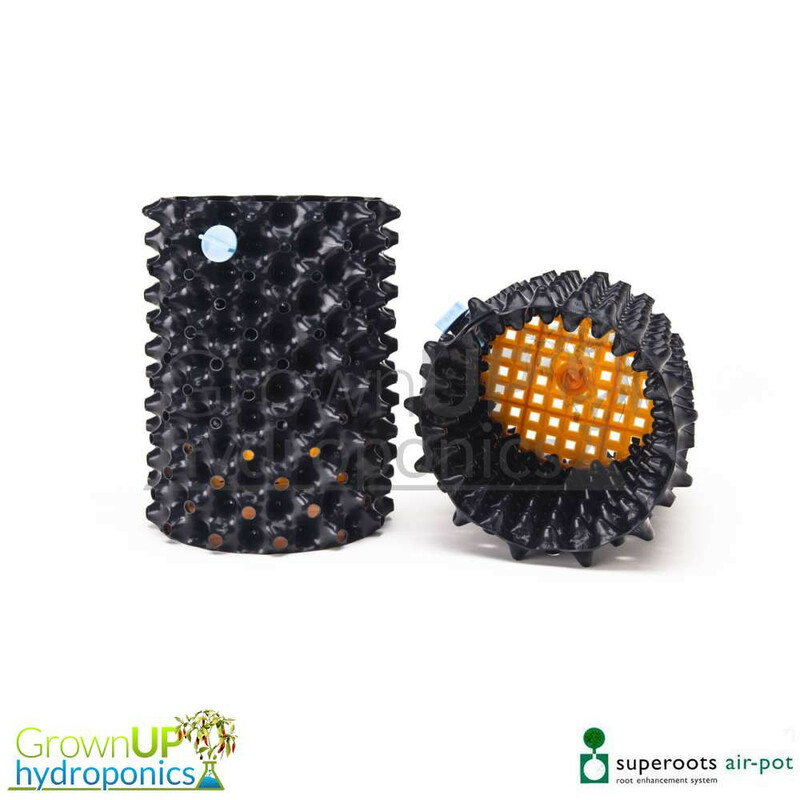 With no flat surfaces to deflect roots and start the spiraling process, roots grow quicker, stronger and allow for extra oxygen uptake. Each pot is made from a group of inward pointing cones (growing wider towards the root and narrower towards the edge of the pot) direct the root towards the hole in the outward pointing cones where the air density in the soil is too great and therefore the apical cells at the very tip of the root dehydrate, or are air-pruned. 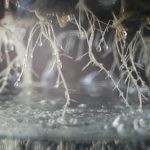 The response of the plant to this air-pruning is to send out more roots to compensate for the loss, which leads to the build up of a dense and fibrous root system in a dramatically shortened timescale. 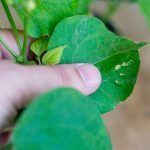 Reduced the complete grow time of your plants by as much as a week. Easier transplanting / Potting up. Simple to construct, the side wall features 2 rows of dimples without holes, this is the top of the pot. 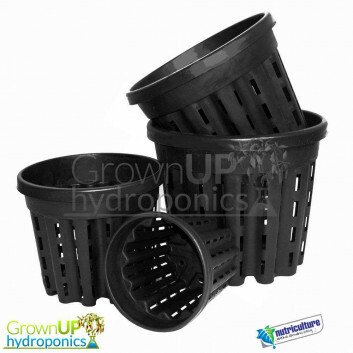 The base should be inserted on the 3rd level allowing space for air to circulate underneath. The side wall is then secured with a screw.